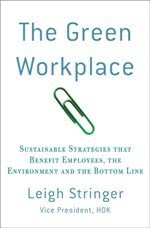 Today the Society for Human Resource Management (SHRM) released the findings of their Green Workplace Survey. The survey found that 50 percent of surveyed (US) organizations have a formal or informal environmental responsibility policy, but 43 percent have no such policy and no plans to implement one within the next 12 months. Companies that implement environmental responsibility programs cite improved employee morale (44 percent), increased employee loyalty (16 percent) and a stronger public image for the company (42 percent) as top benefits. They also report increased consumer/customer confidence/choice (20 percent) and a positive financial bottom line (19 percent) as a result of the organization's environmental responsible program. The most common barrier to creating an environmental program is implementation cost (85 percent) followed by maintenance cost (74 percent). Other barriers include lack of management support (43 percent), lack of employee support (25 percent), and concern for workplace inefficiency (20 percent). Nearly three out of four employees from companies without environmental programs say they want their employers to "go green." Seventy-three (73) percent of surveyed employees in companies without an environmental responsibility policy thought it was very or somewhat important that their organization develop an environmental responsibility policy. The majority of "green" programs are created by a senior management team (32 percent) and roughly the same number (31 percent) are also responsible for implementation. The HR professionals surveyed rank the top five environmentally-responsible practices to be: 1) encouraging employees to work more environmentally friendly (83 percent); 2) offering a recycling program for office products (83 percent); 3) donating and discounting used office furniture and supplies to employees or local charity (73 percent); 4) using energy efficient lighting systems and equipment such as ENERGY STAR(R) equipment and occupancy sensors (66 percent); and 5) installing automatic shutoff for equipment (63 percent). Employees offer a slightly different view and rank the five most important environmentally-responsible practices as follows: 1) donating and discounting used office furniture and supplies to employees or local charity (53 percent); 2) promoting walking, biking, taking public transit (49 percent); 3) using energy efficient lighting systems and equipment (43 percent); 4) offering a recycling programs for office products (39 percent); and 5) encouraging employees to work more environmentally friendly (36 percent). Both human resource professionals and employees state that their primary, or number one, motivation for participating in environmentally responsible programs is to make a contribution to society. Note to the statisticians among us: the Green Workplace Survey's 429 HR professional respondents represent publicly- and privately-owned companies, nonprofits, and the government sector. 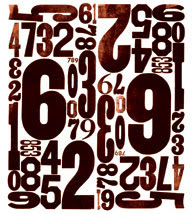 The 504 employee sample was randomly selected from U.S. telephone population. You can purchase a full copy of this survey at http://www.shrm.org/surveys/. How do I purchase this survey? do I have to become a member?